The real leather trim and antiqued brass hardware on this best-selling bag makes it perfect for men and women alike. 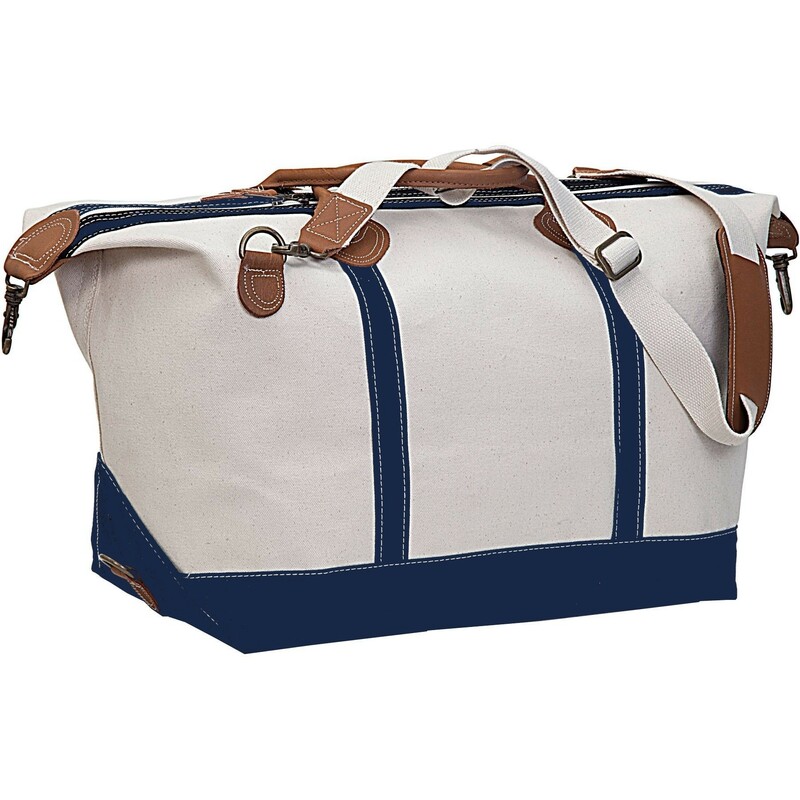 Made of heavyweight cotton canvas, its classic good looks and generous size make it perfect for longer trips. Makes a great carry-on too! With many personalization options, this will be your instant favorite.